Each course is designed for beginners, however for experienced operators or ex licence holders, assessors understand your time previously in the industry. Therefore the course approach is understanding what is required under the state law for obtaining your licence again. New rules and regulations from Workplace Health and Safety have stated the assessor must follow these new guidelines. Legislation | planning | calculations + formulas | correct safe operating procedures | hazard identification and implementation of controls to reduce the risk of injury | correct storage of lifting gear | hand signals, whistles & radio communications | and knowledge of site clean ups. 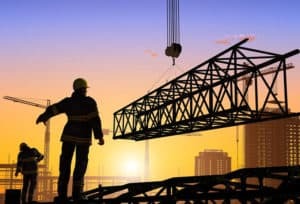 Physical inspection of lifting gear | lifting techniques + test lifts | use of taglines | crane directing and communications | hazard identification and implementation of controls to minimize the risk of injury | hand signals, whistles & radio communications. Written assessments in English only and provisions from the Australian Government at this stage does not extend to translating devices. * This is also not a spelling test. Accredited Trainers and Assessors must by law notify via an online written notification system for each assessment to be conducted in your respective state either to Workplace Health and Safety QLD or Safe Work NSW. Must be physically fit, must be able to lift crane lifting gear, walk up scaffolding etc. General construction work. Practical exercises using chains and slings to move loads from a slew crane. N/A – Under this licence you are permitted to direct (not operate) any crane and sling any load within Australia.